I'm sorry that the last Themed Bakers Sunday was so last minute, but this time you have a whole week to do this next week's theme: LEMONS! 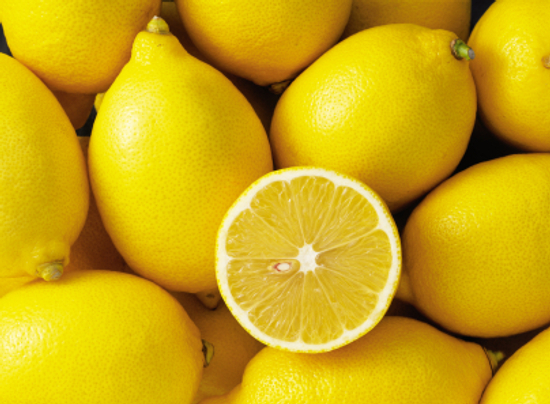 Do anything, ANYTHING you can think of with lemons! Cheesecake, fudge, brownies, cupcakes, mousse, cake, etc. etc. etc. I can't wait to see what you've got up your sleeves!!! Thanks for the invite! I linked up my lemon brownies, if you like lemon, you'd love these! Thanks for the invite. I absolutely LOVE lemons. I have a lemon pound cake in the oven as we speak and can't wait to post that too! I'm excited to see what other lemony delicious recipes everyone has to share! I am a HUGE fan of lemon! I could put it on EVERYTHING! Thanks for the invite to link up my lemon brownies. They are perfect for parties too. I LOVE lemon desserts. I'm excited to try some of these. Thanks for the link up. This is a great link party idea. I have tons of lemon recipes, I'm in LOVE with it! I added your button to my post :) Thanks! Thanks for the link up invite - unfrtunately I dont have a recipe that fits the theme. I am glad you stopped by because it gave me the opportunity to discover your great recipes. Im a follower now!! I do not have a post, but I always have lemons in the house. My favorite dish with Lemon is with Asparagus. Either bake at 350 until tender or cook on stove top (with water). Slice lemons and squeeze the juice all over the asparagus and drop the squeezed slices in the ban. These look great. I've linked up a couple. Thanks for invite! All of these look so good!! I'm all linked up! Thanks for the invite. Thanks so much for the invitation! Super cute blog, btw. I linked up some Lemon Cupcakes. Thanks! Yum! Thanks for the invitation and for hosting! I have linked up my Easy Lemon Cake, thanks for the invite. I am now a follower. I left a recipe for a super yummy Lemon Meringue pie. Not only does it taste amazing, but it makes your kitchen smell divine. Thanks for the invite - this is a fun idea. I'll be sure to check back for future themes!! Thanks for the invitation. I'll have to check out all the other yummy alemon recipes now. hi! i just linked up! mine isn't totally lemon but the Whole Wheat Zucchini Cookies have lemon zest in them so i thought that still counted!! 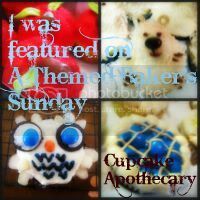 I do a blog hop on sundays and i would love it if you came over and shared something! Hello! 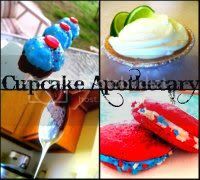 I just linked up my recipe! My mouth is starting to water!! Mirror, Mirror, Not on my wall yet.